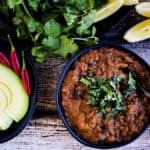 Get ready for some delicious vegetarian Instant Pot chili! Two Lazy Gourmets has been on a bit of a hiatus as we prepare to transform to a whole new food blog. That’s right folks, Two Lazy Gourmets will soon become All Ways Delicious. Don’t worry, we’re still lazy and we still love delicious food, but our new branding is meant to highlight our focus on recipes from around the world adapted to be easy to cook in your (probably typical) American home kitchen. Watch this space for updates or subscribe to our email list and we’ll let you know when our new and improved blog goes live. As we put the finishing touches on our new look, I’m excited to pop in and tout a new book by my friend Jane Bonacci of The Heritage Cook. 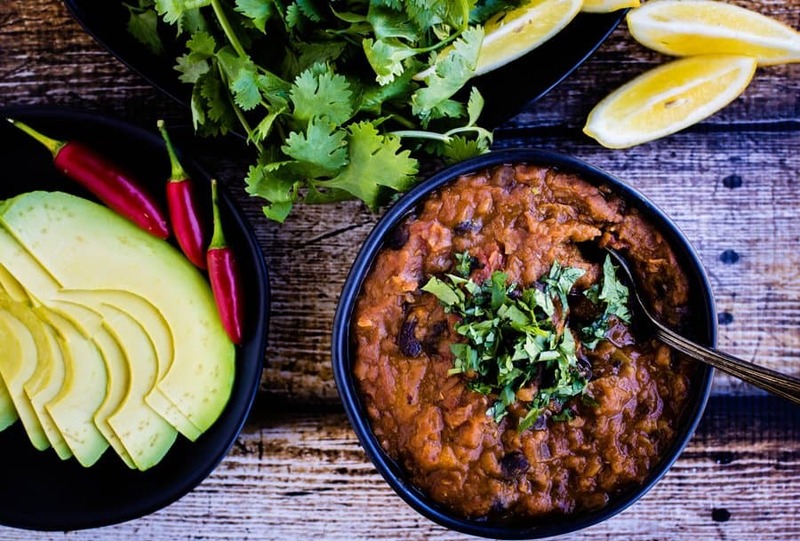 Jane teamed up with Sara de Leeuw of My Imperfect Kitchen to write a fantastic book on using my favorite appliance—the Instant Pot—to cook gluten-free meals (like the Instant Pot chili below). 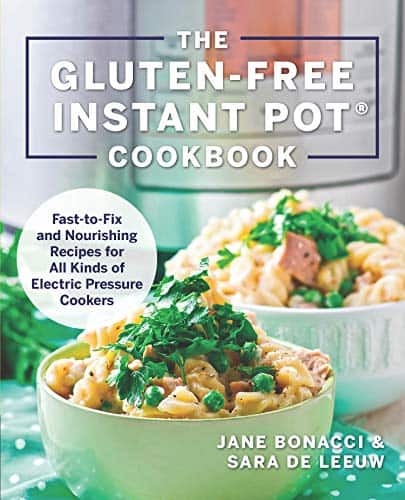 The Gluten-Free Instant Pot Cookbook: Fast to Fix and Nourishing Recipes for All Kinds of Electric Pressure Cookers is available now for pre-order and will be released on September 19th. I admit that I am one of those people; the Instant Pot devotees who think everyone needs (at least) one in their kitchen. I have two—a 3-quart and a 6-quart—and I use them both all the time. There is just nothing better for quick, healthy, delicious meals. If you don’t have one yet, you really should take the plunge. You won’t regret it. The Gluten-Free Instant Pot Cookbook is a great primer for anyone new to the Instant Pot (or any electric pressure cooker) and it has the added benefit of including only recipes that are gluten free. Plus, more than half of the recipes are also vegetarian, like the vegetarian Instant Pot chili I’m highlighting in this post. All of the recipes are easy and use wholesome and easy-to-find ingredients. I like that the authors suggest specific gluten-free brands (for instance, they recommend La Costena chipotle peppers in adobo sauce because that brand is gluten free.) This saves me from having to spend time reading labels if I’m cooking for someone who can’t have gluten. There are lots of other recipes in the book that I can’t wait to try, including Sausage and Jalapeño Cheese Grits, Cherry Chipotle Chicken Wings, Southwestern Meatloaf, and Chocolate Cheesecake–all made in my beloved Instant Pot.